Declaring bankruptcy is a decision that not only impacts your finances but also the state of your credit score. While your score may decrease after financial hardship, there are practical and real ways to improve it and get back on a better financial path. Before you start taking steps to fix your credit score, it is important to know what the score is and why it’s so important to your financial future. When you apply for any type of credit – credit cards, car loans, mortgage or rental agreements, student loans – the financial agency first looks at your credit history to determine if they should lend to you or not. Many lenders use FICO scores as part of those decisions. If your FICO scores are in the mid 700’s or above, that generally means you have good credit and it shouldn’t be difficult for you to get approved, provided you meet lender’s other requirements. 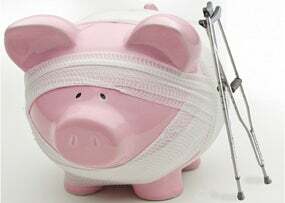 It is important that you understand what happens when you file a bankruptcy. A bankruptcy can remain on your credit report for up to 10 years and there is a good chance your FICO score will be low until you have started rebuilding your credit. You can take the following steps to start raising your scores. The first step is knowing where you are and where you need to go. The first thing you should do is obtain a copy of your credit reports and make sure there are no errors or inconsistencies. You can try Credit.com’s Free Credit Report Card for an overview of your credit standing and an explanation of how it’s broken down, and you can request one free copy of your credit report per year from Equifax, Experian and TransUnion. Your payment history makes up 35% of your credit score. One of the easiest ways to improve your score is to always make sure you pay bills on time. You may receive offers from credit repair services promising to help repair your credit. Make sure you thoroughly investigate these services before you use them. Their fees can be expensive. There are many ways you personally can rebuild your own financial future for no cost (compared to services that charge). In this case, DIY is often best. Again, once you begin re-establishing credit, it is crucial to know the limits on your credit cards and to keep your balances well below them. You may have a very low limit due to your credit history. That’s okay. Use your cards sparingly and continue paying the bill on time. You may think you’re doing the right thing by closing lines of credit and swearing off all credit cards. This action does far more damage to your credit than you think. Closing accounts reduces the amount of credit you have available to you. This leads to lower credit scores. It’s best to keep the credit lines open. If you’re tempted to spend, cut up the card. The most important lesson to learn is to be patient. The road to bankruptcy did not happen overnight. And neither will the road to improving your credit. By following the guidelines above, the road to a better financial future and improved credit score is possible. Britt Klontz is a writer with TotalBankruptcy.com, a site that provides free bankruptcy evaluations, information about bankruptcy laws, and is a directory to help you find bankruptcy lawyers in your area. She is dedicated to helping you keep your finances in order. I would like to know that if we file for bankruptcy, we will be able to keep our car, which has already been paid off. We went through it a while back and they allowed us to keep our cars, two in fact. You do not have to lose your only mode of transport, the code does not require that you put yourself in hardship. Consider carefully the type of bankruptcy you file as well. One sets up a payment plan to repay the a portion of the debts, that is the route we went. It turned out it was just appeasing our guilt, there was no advantage to it over wiping the debt out completely. If your credit balance position get handicapped then it is the suitable time to get back your credit score to be improved, I would like to pick some of the valuable tips for a fair credit score position and to avoid bankruptcy. Paying your bills is not the mantra to earn good scores in your credit report. Rather paying your bills much before you are marked a defaulter is the golden way to gain credit score. Yes you can, But credit card score need to be good in the bankruptcy condition. There are other options available also, Hire a good layer to solve out this problem very soon. I am agree with these points. I Follow these two points Do Not Close Accounts and Know your limits that. My credit score, sorry went up 200 points in a year. If I could do it, anyone can. I pay my credit card, twice a month or more. My car payment 2 weeks before is due. Love the idea regarding this issue. Looking forward for more regarding this kind of issue. Our credit score dropped by approx 100 points and while we actually paid our bills on time it got to a point where we knew it was no longer going to be that way so we had to file bk, hardest decision of my life and still not sure it was for the best. We now, 2 1/2 years later have 2 car loans and a line of credit but the score has not moved so I’m not buying into this credit score thing and making it better. We don’t have credit cards yet every website says to get a card, I don’t want a credit card, I like having to only rely on the cash I have and not interested in credit card at all. So, while my credit score doesn’t move at all ever and I pay bills on time including several student loans there still seems to be no great explanation on credit scores. Why? Heather – It’s true that bankruptcy is detrimental to your credit scores — but it’s not impossible to recover and rebuild great credit. Before you can do so, however, it’s important to understand exactly how credit scores work so that you take the right steps and have realistic expectations for how long it will take to recover from the bankruptcy. For example, because credit scores place the most emphasis on the most recent 24 months, it’s going to take a minimum of 24 months before you’ll begin to see any significant improvement, and even then it will happen gradually — provided that you’ve taken steps to strategically add new, positive credit information to offset the negative damage caused by the bankruptcy. The key, is adding the positive information — which is more than just paying the accounts on time. Paying accounts on time is important, but it’s only 35% of the score — that means there’s another 65% that has nothing to do with how well you pay your bills. • When Will My Bankruptcy Stop Staining My Credit Reports? Very effective tips. I have low credit sore and I am going to use these tips to improve it. Thanks for sharing. I disputed Experian’s credit report when they scheduled my Bankruptcy removal in March 2014. My BR was discharged March 2004. The other two agencies removed my BR after seven years. Experian will not do that. Seven years for removal is the figure given for BR removal after the BR has been filed if paid off or discharged. Unfortunately dismissed bankruptcies can be reported for ten years from the date of filing. Doesn’t seem fair, I know. You get the credit damage but none of the benefits. It’s the way the law is written. Congratulations on paying it all back. What will help you most is time: The further your bankruptcy is behind you, the less impact it will have. The best thing you can do is keep paying the bills you have on time, and keep your credit card usage to less than 30%( less than 10% is even better) of your limit. You can find more information here: Will Paying a Collection Hurt My Credit? I am so sorry to hear what you’ve been through. Thank you for sharing your experience. Bankruptcy exemptions can vary by state which is why it’s important to talk with a consumer bankruptcy attorney. I have two small loans. I’m going to keep sayin them on time, declare bankruptcy and the writeoffs have not bothered me .Will my report be clean? Errors of social numbers and addresses Are not accurate. Can I clean this up? I am sorry I really don’t understand your situation or the scenario. Can you try explaining what happened again? I filed for bankruptcy chap.7 a few months ago and I am determined to raise my credit score over 700. I already started to work hard to reestablish it by having a car loan, secured credit card (only charging 10% of my limit).. my current scores (FICO) are 604/606/ and 595. Is it possible to have my score over 700 in 1 1/2 years?? any other suggestions are greatly appreciated. The bankruptcy could take up to ten years to age off of your credit report completely. This article may prove helpful as you look to rebound. These are great tips to get you moving in the right direction. Thank you for sharing! I would also suggest consulting with a bankruptcy lawyer before and after filing to ensure you understand the process legally.